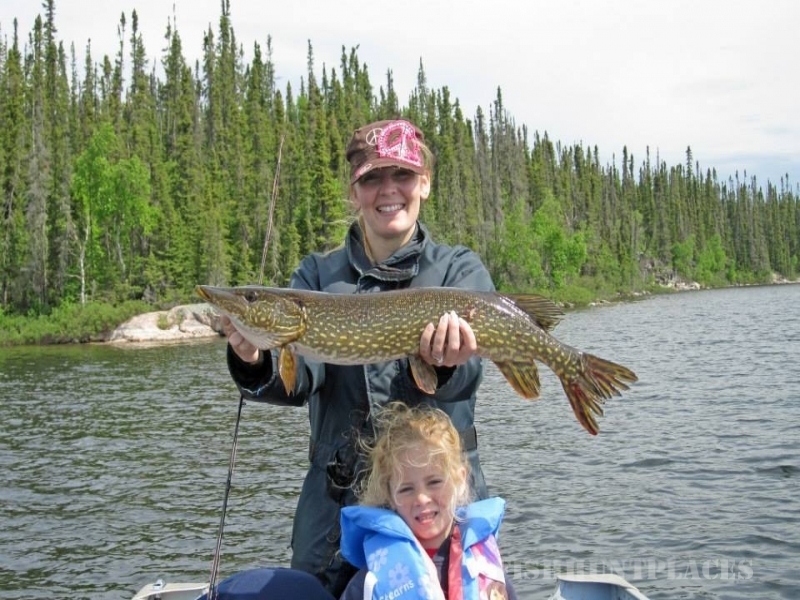 Davin Lake Lodge and Wathaman Outpost offer the finest trophy fishing experience in Canada--literally hundreds of trophy-class Northern Pike, Walleye and Lake Trout are caught and released in our lakes every year! 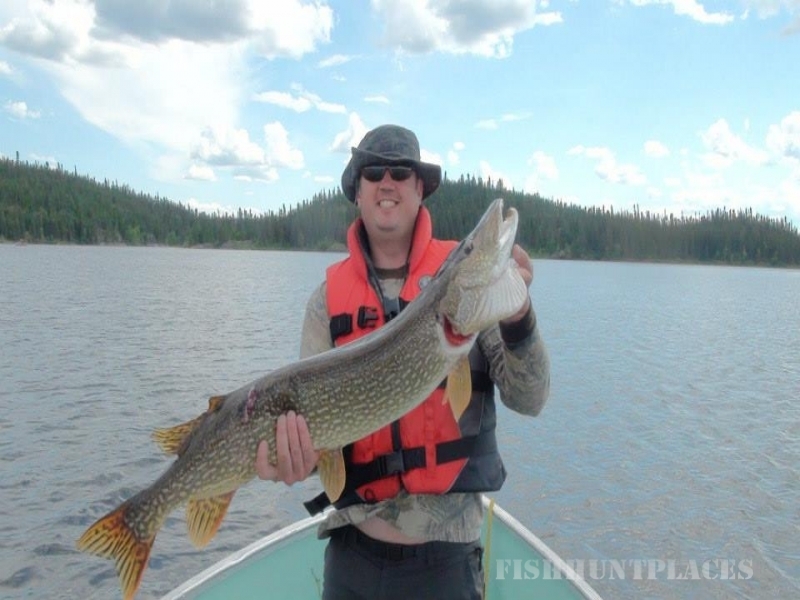 Imagine fishing on one of our two large Northern Saskatchewan lakes that have been virtually untouched by man, yet with all of the comforts of home. Our base camp is easily accessible by automobile or light aircraft via our oil treated 1,800 foot runway right next to the main lodge. For more information, click the 'services' tab above. 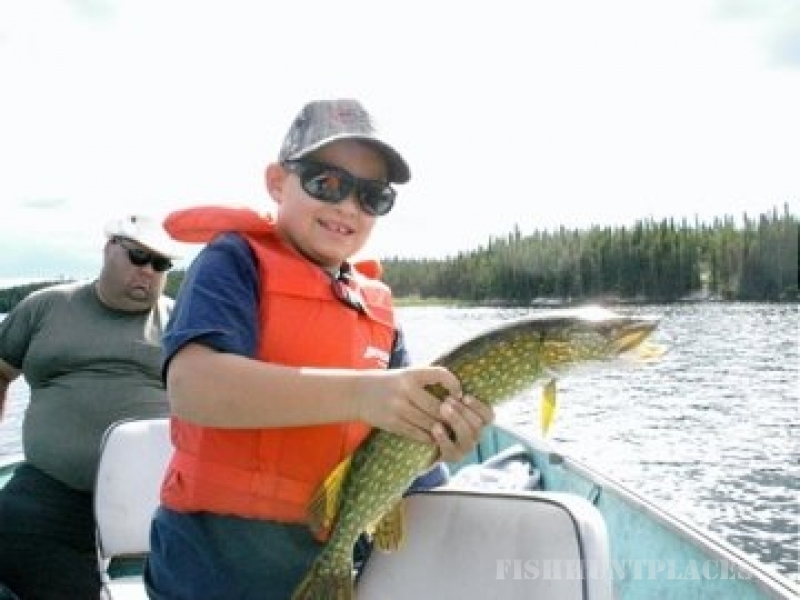 Davin and Wathaman lakes offer superb relaxation and quite simply the best trophy Northern Pike, Walleye and Lake Trout fishing experience you will ever have. We have exclusive commercial access to two large lakes (over 800 miles of shoreline), and even at full capacity that's 16 miles of shoreline for each person--our guests very nearly have the lakes to themselves! 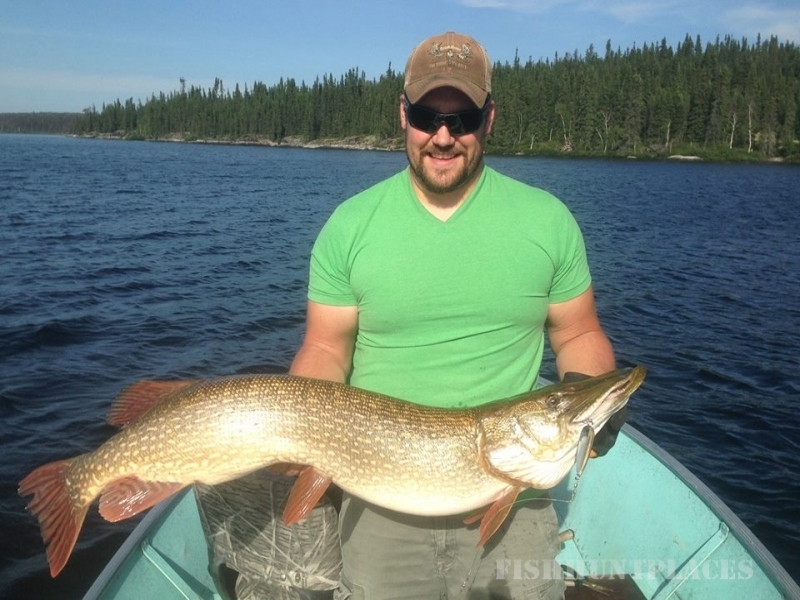 Note: Our policy is catch and release for all trophy fish. This program results in larger fish caught and released by all. This policy has already resulted in an increased number of trophy-class fish caught now and for future generations. Thanks for your understanding and support.